The sensory systems of the body (such as the skin, muscles, and joints). These signals keep brain always alert to the body position according to the gravity and the brain keeps always the body in balanced position preventing falling. Any damage to these organs or to the neural pathways between them and the brain or the brain itself will cause dizziness or vertigo. So the ear isn’t just hearing organ. It is a complex system of parts that not only allows humans to hear, but also makes it possible for humans to keep their balance. 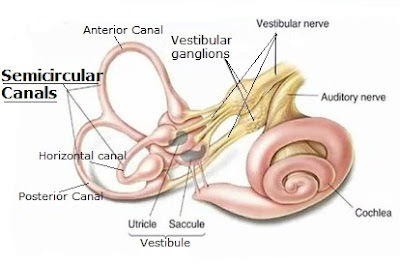 The vestibular system in the inner ear consists of three semicircular canals which are oriented in three different planes, utricle and saccule. They are filled with fluid that moves in accordance with the body’s movements and sends signals with neural pathways (vestibular nerve) to the brain. When do you need to do balance tests? Dizziness: experience of light-headedness or a sensation of losing your balance, or a sense of feeling unsteady. Vertigo: type of dizziness in which there is a sense of movement or spinning. Changing position can make it seem worse. 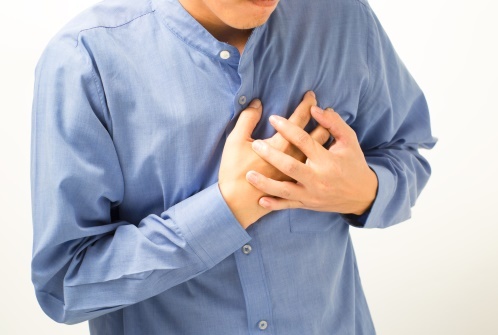 Nausea and vomiting may accompany the vertigo. Why do you need balance tests? Where in the balance system is the problem? What are the changes that happened in the balance system? Are they temporary or permanent? This information will help the doctor to find the diagnosis and to choose the proper management plan. 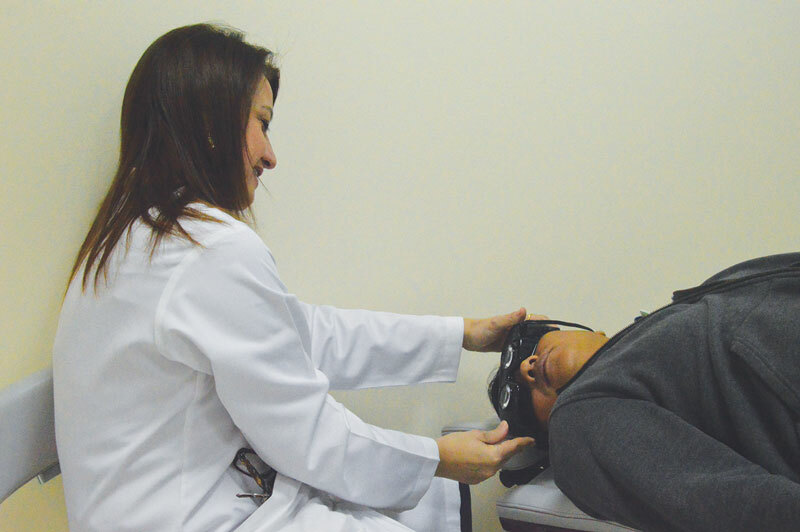 Bedside balance tests: They are mainly done by observing your eyes in different head and body positions. The most important finding which the doctor will be looking for is nystagmus (special kind of involuntary eye movements which helps the doctor to differentiate between different causes of vertigo or dizziness). If bedside balance tests will not be enough to find the problem, she will ask more detailed balance tests that need special equipment as. VHIT, VNG is done with a google fixed firmly over your eyes, tracking and recording your eye movements with camera as you look back and forth between designated points and move your head and body into different positions. A final portion of the test involves the insertion of cool and warm water into your ear to determine if the vestibular system is responding normally to temperature stimulation. cVEMP and oVEMP are done by putting electrodes on the neck , around the eyes and recording muscles activity as response to loud sounds. Please dress comfortably to facilitate the physical movement portion of the test. Women may wish to wear comfortable pants. The caloric test will likely cause some dizziness, this is critical for measuring your physiological response to the symptom. This generally passes within a few minutes. It’s a good idea to make arrangements for someone to drive you home in the unlikely event of prolonged dizziness. Expect your test to take approximately 60–90 minutes. The most common cause of vertigo seen in ENT clinics is benign paroxysmal positional vertigo, or BPPV. Spinning vertigo lasts for seconds to minutes. It is not constant might occur whenever tipping the head up or down, lying down, or turning over or sitting up in bed. Sometimes the vertigo will be severe and will accompany with nausea and vomiting. The patient doesn’t experience any hearing loss or ear pressure or ringing sounds in the ear. The balance system in the inner ear consists of three semicircular canals which are oriented in three different planes, utricle and saccule. They are filled with fluid that moves in accordance with the body’s movements and sends little impulses with neural pathways to the brain. The brain then decodes these impulses and helps the body to keep its balance according to the gravity. The ear has small crystals called “otoconia” which is normally located in the utricle. For some reason these crystals will come loose and dislodged from its place and will fall in one of the semicircular canals moving freely in the fluid with special head positions causing spinning sensation whenever the head is in that position. The diagnosis is based on history and findings on physical examination. The doctor might do several bedside balance tests which are mainly done by observing your eyes in different head and body positions. The most important finding which the doctor will be looking for is nystagmus (special kind of involuntary eye movements which helps the doctor to differentiate different causes of vertigo or dizziness. It is important for the doctor to decide which ear is affected and which canal is affected to choose the proper repositioning maneuver for treatment. These tests can be done without recording or with recording with VNG. BPPV is easily treated in the office by repositioning maneuvers. The aim of these maneuvers is to make the crystals fall back into its place by putting the head in different positions. 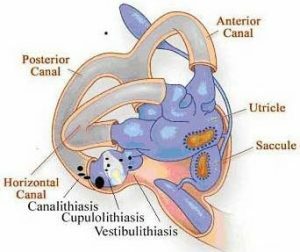 Each canal involvement has specific maneuver( Eupley, Semont, Barbeque maneuvers and esc…) The doctor has to decide according to your exam result which ear and which canal has to be treated. It is diagnosed by hearing and balance tests. 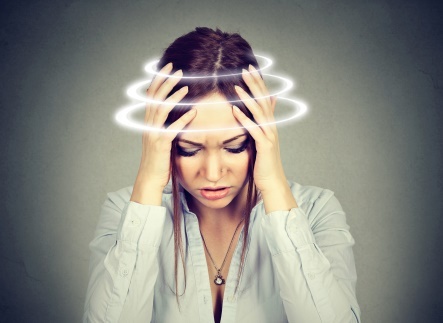 This treatment is occasionally considered for patients with vertigo attacks not controlled by other medications and therapies. Vestibular neuritis is a disorder that affects the balance nerve which is called vestibular nerve. This nerve transfers body and head position information from the inner ear to the brain. When this nerve becomes swollen (inflamed), it will cause vertigo and imbalance. The most likely cause for inflammation as recent researches is viral infection of the nerve. The diagnosis is based on history and findings on physical examination. The doctor might do several bedside balance tests which are mainly done by observing your eyes in different head and body positions. 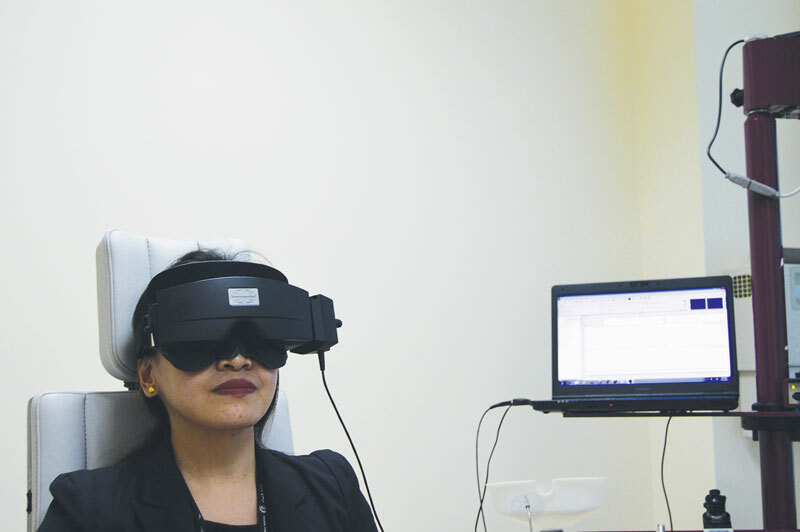 The most important finding which the doctor will be looking for is nystagmus (special kind of involuntary eye movements which helps the doctor to differentiate between different causes of vertigo or dizziness. These tests can be done without recording or with recording. In acute stage of the disease the aim of the treatment will be to reduce acute symptoms (vertigo, nausea, vomiting) and If these symptoms are severe and not able to be controlled by oral medication patients may be admitted to the hospital for IV medication and fluids to prevent dehydration. We do not recommend long-term usage of central vestibular suppressants because they may make recovery more difficult by preventing brain compensation. If balance and dizziness problems last longer than a few weeks, a vestibular physical therapy (vestibular rehabilitation program) may be recommended. The goal of this program is to help the brain to compensate and adapt the body to the changes which happened in balance system. 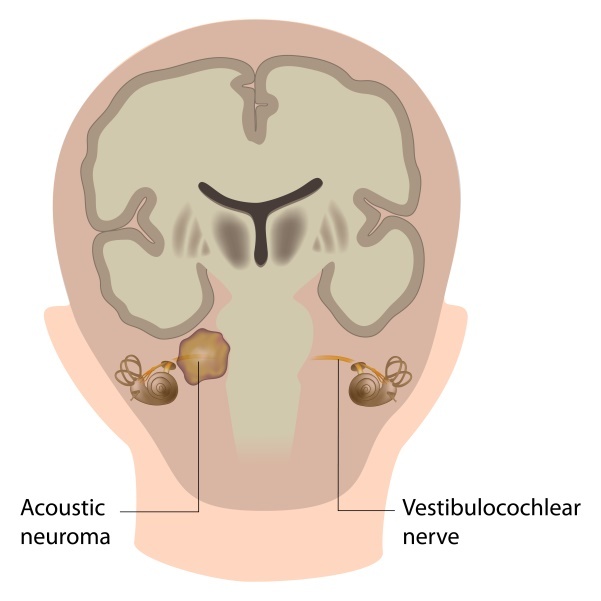 In most patients (95% and greater) vestibular neuritis is a one-time experience. Most patients fully recover.